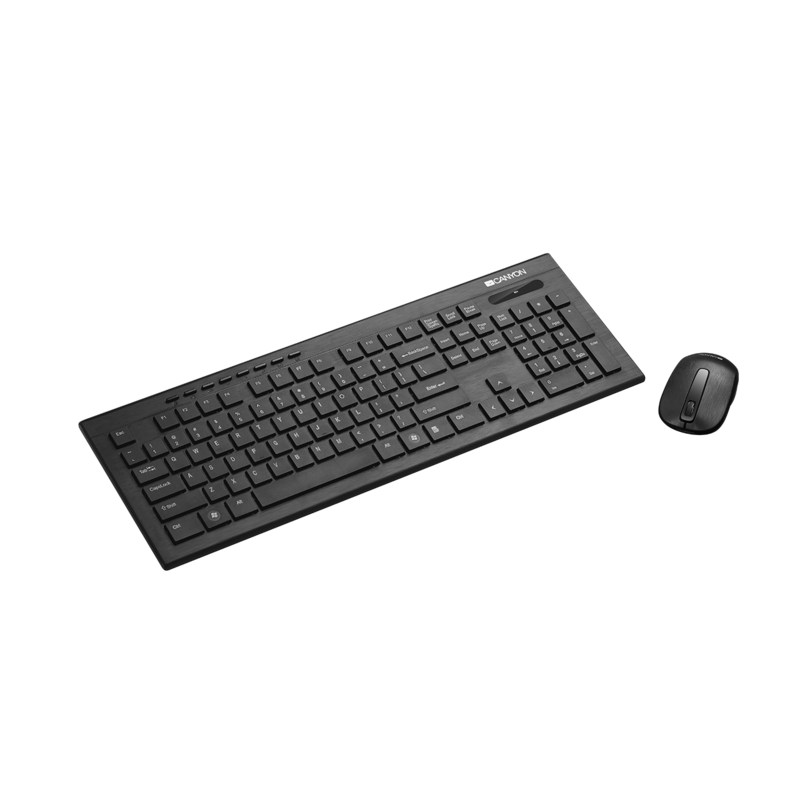 This combo-set consists of an ultra slim wireless keyboard and compact mouse. Due to the covering texture, the mouse and the keyboard are fingerprint-proof. The buttons are firm and pleasant to touch, almost silent while typing. On the upper side of the keyboard, there are 8 multimedia hotkeys that help you to quickly control a browser, a media player, sounds and a calculator. The mouse has switchable DPI between 800, 1200, 1600 that helps to work with maximum precision on multiple screens.